We import the CNC machine from Germany completely. And we also purchase the raw material from Germany. Our clinical carbide burs are made by Germany technology. Our FG carbide burs are near to SS White quality which are manufactured with premium designed quality tungsten carbide blades and a stainless steel shank provide faster and smoother cutting, and have a 100% quality guarantee. We control the cost very well so that we can give you much favor prices. 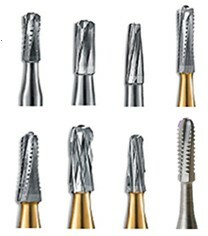 For our FG carbide burs (high speed), we can supply many kinds of types and size for your selection. Round end taper (cross cut), Taper etc. High quality tungsten carbide and stainless steel. Laser welding technology. CNC machine.